Dar es Salaam: Tanzania has launched a tourism campaign through road shows in the three US West Coast cities. Natural Resources and Tourism Ministry, Permanent Secretary Adelhelm Meru said the campaign will promote the country�s tourist attractions in the cities of Los Angeles, San Fransisco and Seattle. Acting Managing Director of Tanzania Tourism Board (TTB), Devotha Mdachi said the US West Coast is one of the largest tourism markets for Tanzania. �We expect this to increase as Ethiopian Airlines opens its new gateway in Los Angeles and Turkish Airlines opens its new gateway in San Fransisco,� she said. 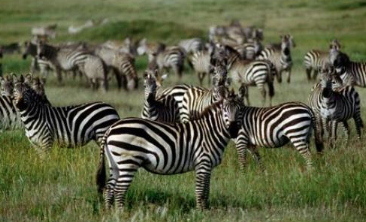 Tanzania is set to become a popular tour destination in the US for 2015. It was named one of �the best places to travel in 2015� by Travel + Leisure, featured in the �52 places to go in 2015� by the New York Times and Ruaha national park was featured on Afar Magazine�s �2015 Where to Go� list. The promotional campaign is a show of support for Tanzania�s US tourism partners, agents, tour operators, airlines and media to update on the expanding tourism products, new infrastructures and air connections. The Tanzania Tourist Board (TTB) has launched Tanzania Tourism 2000 in North America covering a six-city promotion in Canada and USA, Tanzania's Minister for Natural Resources and Tourism. Mrs Zakia Meghji is leading a large delegation of Tanzania tour operators and suppliers for tourism trade shows and seminars being held in Calgary and Edmonton, Canada, Los Angeles, Washington D.C. New York and Atlanta in USA from September 8 to 24, 1999. The promotion tour has been planned to coincide with the visit of President Benjamin Mkapa to USA who will be in Boston, Washington, New York and Atlanta on a trade, tourism and investment mission. A large tourism industry delegation of 28 Tanzania tour operators and suppliers are accompanying the Minister for the seminars and tourism shows organized by Tanzania Tourist Board in each market in Canada and U.S.A. Already, the team has covered Calgary and Edmonton. Ms Meghji stated in Edmonton that; "The participation of President Mkapa in the tourism seminars demonstrates the high priority that our government places in developing tourism from the US market and in encouraging American investments in the travel and tourism sector". The Minister further stated that; "currently the United States and Canada is the largest source of tourism to Tanzania, followed by Great Britain, Germany and France. The objective of the "Tanzania Tourism 2000" campaign launched in Edmonton Canada, is to make Tanzania tourism the number one source of foreign exchange in the next millennium. A series of tourism promotion activities have been planned to celebrate the next millennium in Tanzania that include Plant a Tree for Millennium; Scaling Mount Kilimanjaro, highest Mountain in Africa; flying with a balloon in the Serengeti, thanksgiving at Olduvai Gorge-Cradle of Mankind; and Millennium Gala Party to be held in Dar es Salaam. Tanzania, the Land of Kilimanjaro and Zanzibar, already a popular destination for Canadians and Americans on safari to East Africa, was given a boost in America when America's first Lady, Hillary Clinton and daughter Chelsea; Bill Gates Microsoft and Governor General of Canada, visited Tanzania, Hon. personally escorted, the Clintons on their wildlife safari to the famous Serengeti National Park and the Ngorongoro Crater, the Eighth Wonder of the World. The Minister and Team Tanzania which includes 13 representatives from Zanzibar and 15 from mainland and Tanzania Ambassadors to Canada and USA, are meeting with Canadian and USA tour wholesalers, travel agents, airlines officials, and travel trade press to update them on new developments in the country;s tourist product international and domestic air services, safari circuits, new hotels, lodges and ecotourism programs including the Marine treasures on the exotic islands of Mafia and Zanzibar. Mr. M. Brian, President of Alberta Chapter of Travel Agents said in a welcoming speech to Team Tanzania that Tanzania has a lot of opportunities to have its number of Canadian tourists to visit Tanzania. He said, the friendship that exist between Canada and Tanzania was a milestone in promoting Tanzania tourist attractions to Canadians, Mr. Brian told the delegation that, Tanzania's long history of being a peaceful, safe country in Africa was a good calculator for choosing the country as a destination to spend a holiday. He advised Tanzania local tour operators to increase their marketing in Canada and establish contact for supplying tourist information. Mr. Brian expressed interest in having the annual conference of the Association of Canadian Travel Agents (ACTA) in Tanzania so as to enable the members familiarize with the tourist attractions and facilities. The High Commissioner in Canada, Mr Fadhil Mbaga agreed to the proposal and promised to pursue the suggestion. Tanzania, through the High Commission, is a full member of AC TA which has 3500 members all over Canada. With Tanzania having good air accessibility to North America, the country hopes for more tourists in the next few years. From the U.S.A. good air connections have been established by Ethiopian Airlines from New York and Washington to Kilimanjaro International Airport; Egyptair from Los Angeles to Dar es Salaam with immediate domestic flights by Air Tanzania and Precision Air. Traditional airlines KLM, British Airways and Swissair have good seat reservations during the next millennium and some of them are contemplating to increase their flights to Tanzania. TTB is hopeful that President Mkapa's visit will peak the American interest in Tanzania and encourage more travel and hotel investors to the country. "We are also pleased to see all the Tanzania tour operators and suppliers have taken advantage of this promotional campaign to tap into the enormous potential the US travel market,' said Mr Robin Thompson, General Manager in North America who is attending the ACTA travel shows and forums in Calgary and Edmonton. Already, Team Tanzania has met more than 30O Canadians travel agents and their discussions have been quite encouraging. More Photos and captions to come.